The world famous writer Hans Christian Andersen came from humble beginnings, as a shoemaker’s son born in the city of Odense in 1805. It has later been said that Andersen have not portrayed his childhood in a truthful manner in his four autobiographies, instead he has idealized and embellished how wonderful his early years were. In truth, his family was very poor, and he was sent to work at a factory at 11 years old when his father passed away. The young H. C. Andersen early showed a keen interest for the theatre, and when his mother remarried, Andersen decided to leave Odense in pursuit of his passion in Denmark’s capital Copenhagen. The fourteen-year-old H. C. Andersen arrived in Copenhagen on the 5:th of September 1819, with only 13 Danish kroner in his pocket. He got a job with a carpenter, but that only lasted one single day before he was out of work again. With some help from esteemed benefactors, Hans Christian finally got a job in the chorus of Det Kongelige Teater (The Royal Theatre). While working irregular shifts in the chorus, he also started writing letters on assignment of writers and artists in the city. 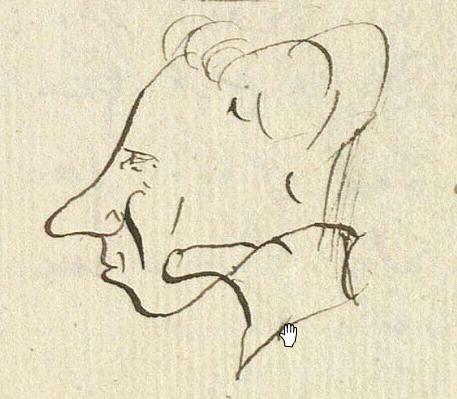 During 1821-22, H. C. Andersen wrote two plays and one novel. The novel was published but didn’t sell very well, and both plays were refused. The director of the theatre recognised that even though the plays were not fit to be produced, Hans Christian had talent as a writer. The theatre director made sure that an application in Hans Christian Andersen’s name was sent to a scholarship fund founded by the then Danish king – Frederik VI – to make sure Andersen could go to school and study writing. School was not a big success for Hans Christian. The 17-year-old was placed in a class of 11- and 12-year-olds, and he did not get along with the headmaster at all. In 1827 he dropped out and was privately tutored instead. When his poem “The Dying Child” was published in The Copenhagen Post the same year, he officially started his career as a writer. He debuted with the short story “A Journey on Foot from Holmen’s Canal to the East Point of Amager” in 1829, but his big breakthrough novel was “The Improvisatore” which was published in 1835. It is a fictionalized autobiography which takes place in Italy, and it is considered an interesting source of knowledge about the renaissance man that H. C. Andersen was; a man who enjoyed performing, telling stories, drawing and entertaining both social circles and on stage. Hans Christian Andersen had received a travel grant from the Danish king, which was the start of a life in constant motion. Andersen became one of the most well-travelled men of his time, and he published around 20 popular travelogues throughout his career. The first four of his fairy tales were published in 1835, but really went under the radar for most of his readers. During the next few years he wrote fantastic tales that later would become known all over the world, such as “The Tinderbox”, “The Princess and the Pea”, “Thumbelina”, “The Emperor’s New Clothes” and of course “The Little Mermaid”. All these stories sold poorly at the time, and Andersen enjoyed much more acclaim for the novels he published simultaneously; “O.T.” (1836) and “Only a Fiddler” (1837). It wasn’t until the mid-1840’s that the fairy tales written by Hans Christian Andersen started to gain attention, both in Denmark as well as internationally. By then, Andersen had also written “The Steadfast Tin Soldier”, “The Nightingale”, “The Ugly Duckling”, “The Snow Queen” and “The Little Match Girl”. The publications of fairy tales were reviewed to wide acclaim in England and were published in several popular periodicals. H. C. Andersen continued writing fairy tales until he fell ill with liver cancer in 1872. During most of this time, he resided at Nyhavn 67 – where you can find a memorial plaque today. 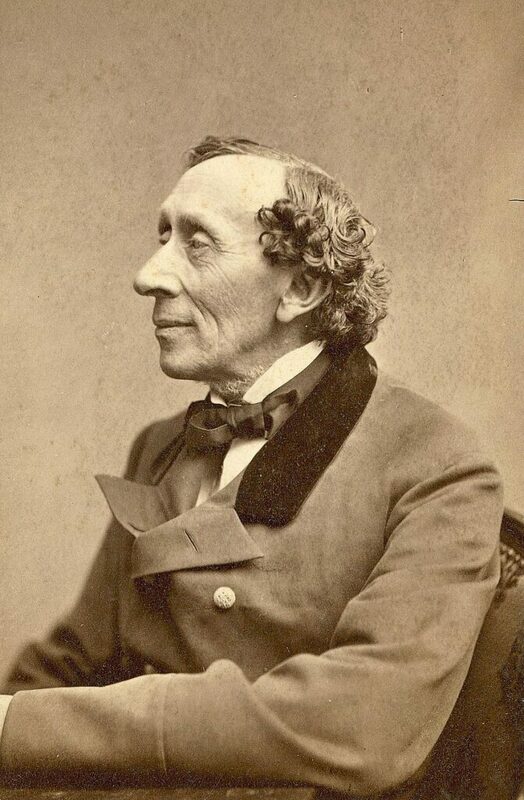 Hans Christian Andersen passed away at 70 years old, in the home of his friends Moritz and Dorothea Melchior on August 4:th 1875. At the time of his death he was internationally revered, receiving an annual stipend from the Danish government due to his accomplishments as a writer. He had come a long way from the poor son of a shoemaker he had once been. He met with the English writer Charles Dickens on a few separate occasions. In 1857 Hans Christian went for a brief visit at the Dickensian home and ended up staying for five weeks. Charles Dickens finally had to ask Andersen to leave, and after that the regular mail correspondence between the two writers came to a halt. H. C. Andersen once proposed to the famous Swedish opera singer Jenny Lind, with whom he was very close friends. Lind turned him down, explaining that she viewed him rather as a brother. It is believed that her nickname, the Nightingale, comes from the fairy tale of the same name written by Andersen as a tribute to Lind. Hans Christian Andersen is buried at the Assistens cemetery in Nørrebro in Copenhagen. He shares his grave with two members of his former benefactor Jonas Collin’s family. The names of Edvard and Henriette Collin are not marked on the gravestone though. Walt Disney’s animated film “Frozen” was originally based on H. C. Andersen’s fairy tale “The Snow Queen”. After many revisions of the plotline of “Frozen” there was barely any resemblance left though. The technique used by H. C. Andersen of making inanimate objects come to life, such as toys, inspired many children’s book writers after him – among them Beatrix Potter, A. A. Milnes and Lewis Carroll. The Hans Christian Andersen Museum is not located in Copenhagen nor Odense, but in Solvang, California. There you can find models of H. C. Andersen’s childhood home, as well as first editions of many of his novels and fairy tales.